On the afternoon of September 7th, 2014, a mentally disabled Ethiopian-Israeli man left his Ashkelon home and headed for the Gaza Strip. By evening, he’d scaled the fences and disappeared, and his exact whereabouts are still a mystery. 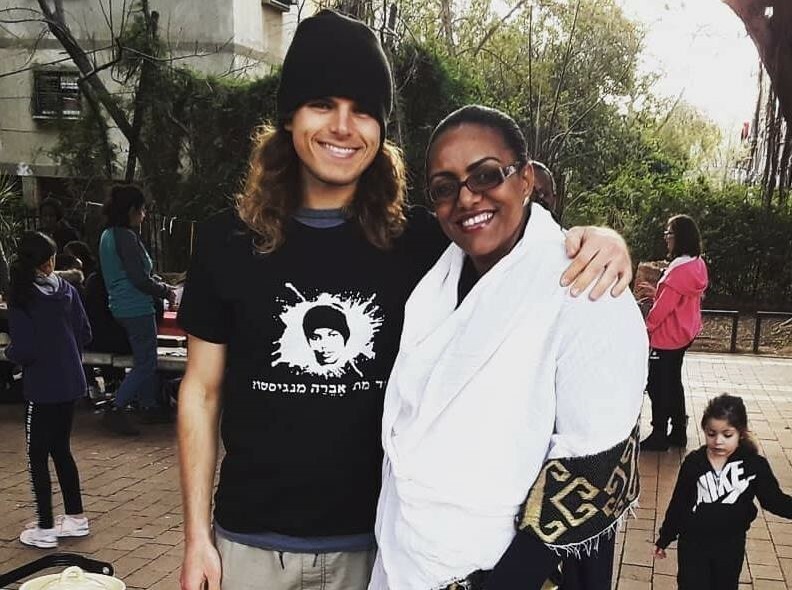 That man’s name is Avera Mengistu, and although at a glance, his story doesn’t seem like anything exceptional, Avera’s choice has started a nationwide movement for racial equality in Israel. I first learned about Avera from my Ethiopian host family. The back wall of their apartment has a flag bearing his name, and there’s a sticker of his face pasted to their front door — something many of the doors in the building share. I asked what it meant, and this led to a conversation about politics, race, and the Free Avera Mengistu movement. They explained how it isn’t Avera’s disappearance itself that’s controversial — it’s Israel’s reaction to it. According to Maayan, at about 11pm, a group of Ethiopian teens and a few of their white friends met in the park outside our apartment buildings to chat over beers. These are kids I know personally — I work with them at the youth center, and they shouldn’t have been drinking, but they’re definitely not criminals. Maayan was by the living room window when a police cruiser pulled into the park. She watched the officers exit the car and immediately surround the Ethiopian boys, ordering them to take out their ID’s but ignoring the white boys on the benches beside them. She said the officers were harsh, and the Ethiopian boys were interrogated until they were finally given back their ID’s and ordered to go inside. They went without question. If they’d argued, Maayan explains, the Ethiopians probably would have spent the rest of the night at the jail — a lesson some of them have learned the hard way. The white boys were also scolded and told to disperse, but the police didn’t card them, nor did they wait around to make sure they went home like they’d done for the Ethiopian boys. The Ethiopians grapple with stigma and cultural misunderstandings everywhere they go, and right now, the race situation is at a questionable crossroads, but both Wor Kay and Maayan admit there’s been improvements — even if the process is slow. They were also quick to tell me how prejudice isn’t only a problem between whites and blacks. Ethiopians are racist against other Ethiopians. Arabs are racist against Arabs. Jews are racist against other Jews. They say it’s something nobody can escape, no matter where they go, but that everyone can fight it… and we should. 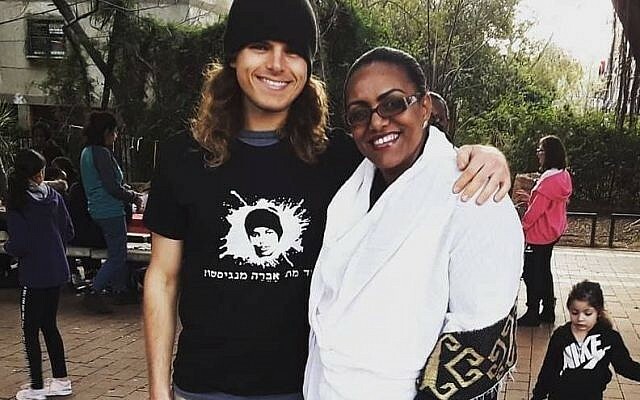 Yehuda Biagda’s death is still fresh in the minds of the Ethiopian-Israeli community, and as for Avera, Israel forces still haven’t confirmed his whereabouts. The Ethiopians haven’t given up hope. In fact, these issues have helped them to find solidarity. They hang flags with Avera’s name on it. They place stickers on their front doors to show their support, and they march together through the streets to protest the injustices against them. The state of Israel has made great strides to address the problem, but racism is still rampant, and until everyone can walk the streets free from prejudice, it’s our responsibility to keep fighting against it. 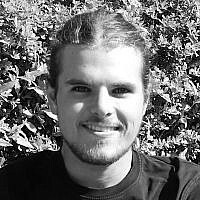 Ethan H. Smith is a teacher, writer, and volunteer living in the city of Rishon Leziyyon. 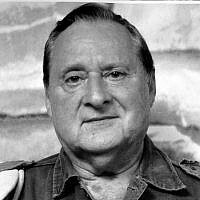 He studied Psychology and German at Seattle University and now works as a social change activist in the Ramat Eliyahu community.